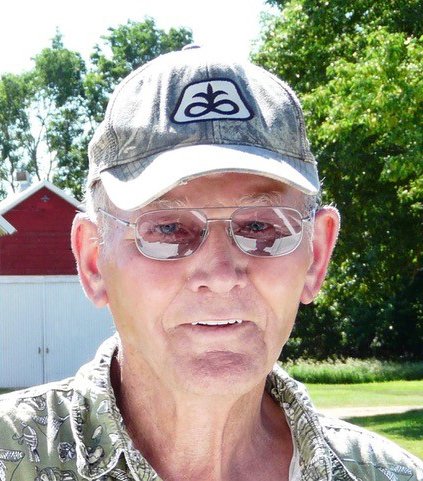 HAWARDEN, IOWA – Severt C. Vander Esch, 91, of Hawarden, died on Wednesday, March 27, 2019 at the Oakhill Assisted Living in Hawarden. Funeral Service will be 2:00 p.m. Monday, April 1, 2019 at the Lebanon Christian Reformed Church rural Sioux Center, Iowa with Pastor Cory Van Sloten officiating. Burial with military rites will follow in the Lebanon Cemetery. Visitation with the family present will be on Sunday, from 2:00 p.m. to 5:00 p.m. at the Porter Funeral Home in Hawarden. Condolences may be sent to www.porterfuneralhomes.com. The family prefers memorials be directed to the Lebanon Christian Reformed Church. Severt Vander Esch was born in Hudson Hospital on February 15, 1928 to Marie (Haverhals) and Leendert Vander Esch. He grew up near Hawarden, Iowa and graduated from Pleasant Hill Country School. He attended Lebanon CRC where he was baptized and later made his public profession of faith in 1949. On April 27, 1951 he married Christina Schenk in Carmel Church before God, family and friends. Severt remained devoted to his wife of nearly 68 years fulfilling his wedding vows - to have and to hold, for better, for worse, for richer, for poorer, in sickness and in health, to love and to cherish, until death do they part. He bravely served his country after being drafted into the army during the Korean War in January of 1951. He was honorably discharged in December of 1952. After his farming career he was employed part-time at Borchers Ag Supply and at Sioux Fertilizer. He also spent several fall seasons in Idaho helping his son Darwin with his outfitting business. Severt loved spending time with family and friends, going to sporting events, playing Rook and fishing. In the last decade, family and friends gifted Severt with over fifty 1,000-piece puzzles, which he had many framed and returned to them. He spent his remaining days living at OakHill Assisted Living. He lived with a Hawarden, Iowa address for his entire 91 years of life. Now thanks to his Savior Jesus Christ he resides in heaven for a glorious eternity.